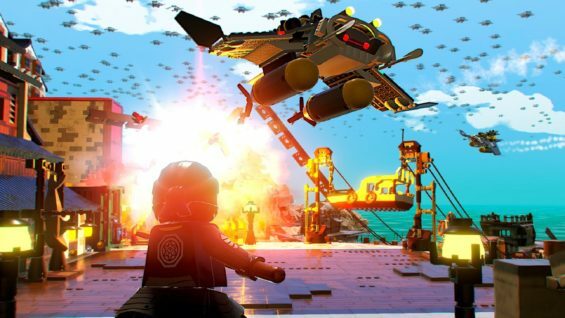 TT Games return with their latest LEGO game in the form of The Lego Ninjago Movie Video Game which is available for console and PC audiences. It’s certainly familiar ground for those well versed in the regurgitated format here and if you’ve got youngsters eager to try out some moves having seen the movie release this is as good as it gets. 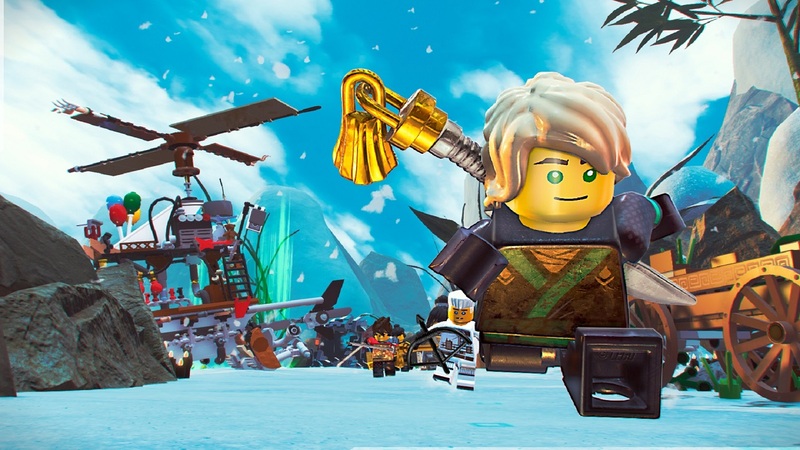 The story is quite self explanatory as players follow events of the movie having survived the shark attack on Ninjago by the evil dad Lord Garmadon. As you progress under Master Wu’s instruction, you get to team up with the other ninjas (Lloyd, Nya, Kai,Cole and Zane) and can swap between them at leisure. In fact as per TT’s style here it’s a requirement to change character to interact with set items across each level to progress. Stages are separated by hub areas which can be freely explored before diving into the varied levels which take the ninjas across the lands. There’s a fair bit to do if you spend the time breaking things, but not so much if you push forwards with pace. There’s plenty of ninja interactions though such as wall running, swinging on ropes and of course plenty of combat. It’s a much more involving exercise this time round with blocking enemies, dodging and power aerial attacks to name but a few moves over the single button press of past experiences. You can also level up skill by unlocking ancient coins which is a nice themed touch here. It’s all pretty straight forwards with plenty of additional elements to break up the level navigation such as flying mechs across the city and chasing down Garmdon’s shark like contraptions. 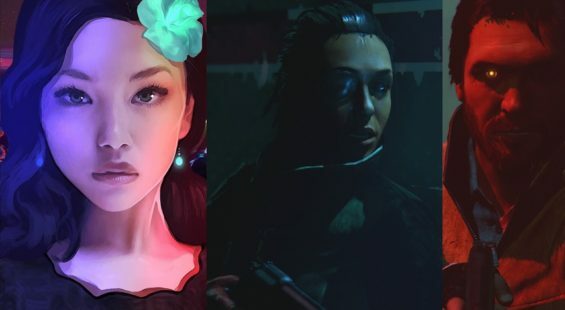 So lots of variety and of course boss battles – what game would be complete without them eh? The fact remains here (and we’ve tested this) younger gamers are going to have a blast playing as their favourite ninja whether they have seen the movie or not. However, it’s not all plain sailing and for some Ninjas might not be as cool as playing as Batman or even Jedi. Playing on Xbox One there’s quite a few glitches but most noticeable is a severe lack of optimization. The game world does look full to the brim with NPCs, colour breakable objects and the like but on many occasions the frame rate dipped way below 30 fps and sometimes 20 fps which isn’t great. Now younger gamers might be more forgiving, in fact in our tests the poor frame rate didn’t bother our test subject, but for us the low dips were awful. At first we thought this was a side effect for playing two player co-op split screen but then when the same dips occurred in single player we know there are problems here. So, take that as you will. Hopefully this can be patched to run a bit better but as it stands a very poor showing indeed. Couple this with crashes that require the game restarted and you have a product that needs some emergency treatment pronto. 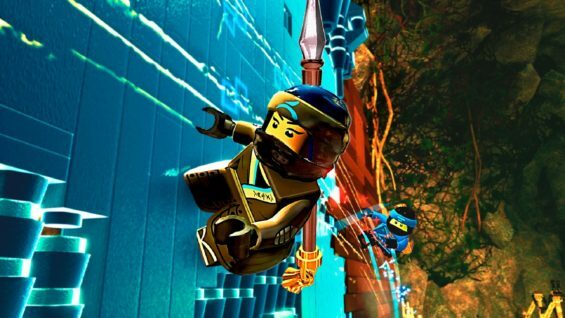 When it works, The LEGO Ninjago Movie Video Game looks grand and is a visual tour de force but due to the technical issues suffers as a result. In terms of audio then you’ll be granted plenty of witty dialogue and funny scenes, although some of it is lost on adults especially moments where the delivery comes across a little dry. 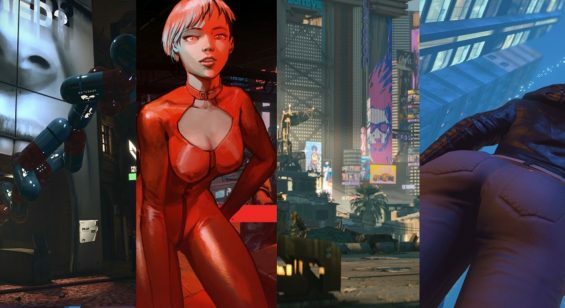 Players will find plenty of hours gameplay though through the story, replaying levels in free-roam and then taking on each other (or the AI) in the new battle arena mode which has capture the flag type events and more to mess around with until you’re done. It has to be said that as an accompanying game to the movie release there’s enough here to keep the flame alive post cinema and beyond the subsequent home release whenever that comes further down the road. If the target audience really does feel for the ninjas then this game delivers. So to conclude. 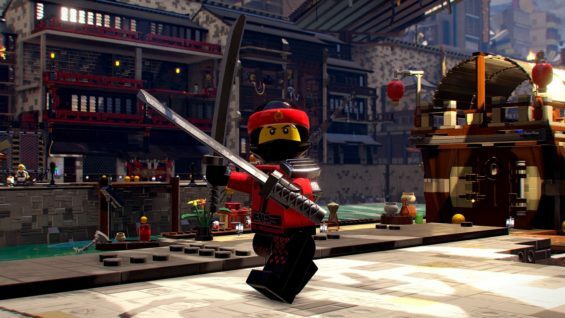 The LEGO Ninjago Movie Video Game can easily be recommended to younger players who have enjoyed TT Games’ past glories. It’s more of the same with some neat ninja extras. However, for any adults wishing to enjoy the simplicity on offer here will be a little dismayed at the technical issues which sadly hampers ones enjoyment and can’t be ignored unfortunately. It’s possible other versions don’t suffer as badly, or an update will fix some of the problems, but as of now they are there in your face. If you like action, platforming and wacky characters with “issues” then this is a fun game to sink some hours into. It’s not TT’s best work but is worth checking out all the same.